Your Stonecroft Home can be built on YOUR property or Ours! We have access to building lots in several communities in the Louisville Metro area below. Stonecroft builds custom homes in Oldham County, Shelby County and Southern Indiana. 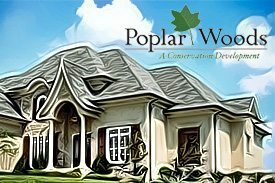 Many variables are considered in choosing the right lot for your new home – size, natural slope, allowable space for the outdoor living areas, landscaping and so on. If you need help locating a building site, Contact Stonecroft. 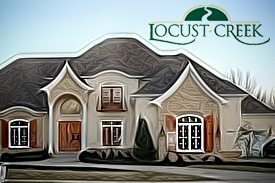 We have strong relationships with a network of developers and real estate agents in the Louisville Metro Area that can assist if required. If you already have chosen your building site, we will be happy to take a look and generate ideas . The list of communities below is not comprehensive rather just some of the latest developments. Let us help you find the perfect building lot for your Stonecroft Home! Stonecroft Homes builds in Harrods Glen. Harrods Glen is showing promise to be one of the flagship developments in the Prospect area. Priced from $1,200,000 each home is on an acre lot. Homeowners will enjoy the prestigious location on Wolf Pen Branch Road across from Spring Farm Road. 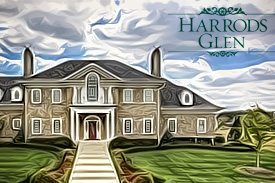 Visit Harrods Glen and see the difference the pursuit of the Extraordinary makes in home building. Visit our Gallery of Homes to view our work in Harrods Glen. Stonecroft Homes builds in Poplar Woods. 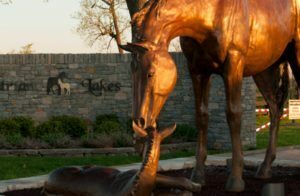 This spectacular 203-acre development is one of three conservation communities in the history of Oldham County. Part of the original Belknap property, Land O’ Goshen Farm, had been in the Belknap family since 1917. The neighborhood has 108 acres of permanent open space. Check our Gallery of Homes to see some of the beautiful homes built by Stonecroft in Poplar Woods. Stonecroft Homes builds in Glenview Park that is located off Cabin Way in Glenview. This property was originally owned by legendary Churchill Downs Veterinarian, Dr. Alex Harthill. 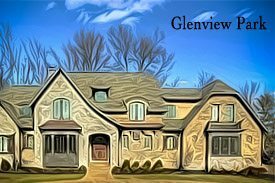 Glenview Park is situated on over 35 acres of beautiful countryside with both large estate lots and smaller lots for buyers who are looking to downsize. 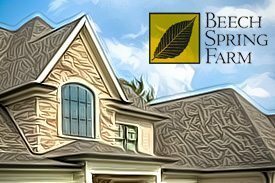 Stonecroft Homes builds in Beech Spring Farm. The development itself encompasses 209 acres on Barbour Lane, off Highway 22, between Trail Ridge road and Wolf Pen Branch Road. The 349-lot development consists of five separate villages. A variety of wooded areas and more than 65 acres of open space contribute to the communities natural beauty. Stonecroft Homes was a Grand Award Winner in both Homearama’s held in 2006 & 2007 at Beech Spring Farm. Stonecroft Homes builds in Locust Creek that offers upscale living in a unique, natural surrounding including over 65 acres of open space. The neighborhood has a number of new homes priced from $450,000 to $1,000,000, featuring all the latest in home design and innovation. The neighborhood’s private amenities include a swim and tennis club, picnic area, and playground, as well as a 1.4 mile nature trail. It’s all just minutes away from all the shopping, schools, churches, and conveniences of Louisville. Stonecroft Homes builds in Shakes Run & Catalpa Farms located off Shelbyville Road on Fisherville Road. This clubhouse community features a beautiful clubhouse, a junior olympic size swimming pool, a fishing lake, 70 acres of open space with walking trails and several creeks. 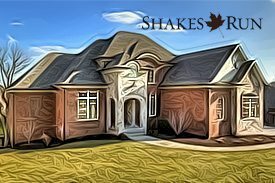 Shakes Run features several distinct villages and 450 large wooded lots, most all of the lots back up to woods, lakes, creeks or open space.